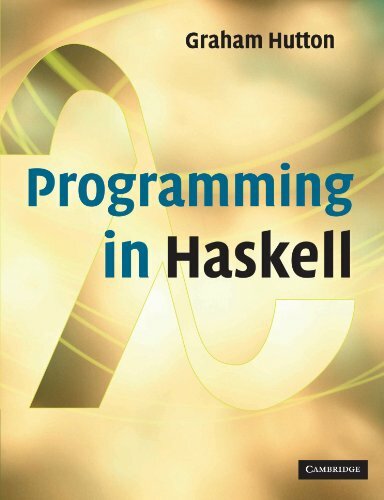 Haskell is one of the leading languages for teaching functional programming, enabling students to write simpler and cleaner code, and to learn how to structure and reason about programs. This introduction is ideal for beginners: it requires no previous programming experience and all concepts are explained from first principles via carefully chosen examples. Each chapter includes exercises that range from the straightforward to extended projects, plus suggestions for further reading on more advanced topics. The author is a leading Haskell researcher and instructor, well-known for his teaching skills. The presentation is clear and simple, and benefits from having been refined and class-tested over several years. The result is a text that can be used with courses, or for self-learning. Features include freely accessible Powerpoint slides for each chapter, solutions to exercises and examination questions (with solutions) available to instructors, and a downloadable code that's fully compliant with the latest Haskell release. This introduction is ideal for beginners as it requires no previous programming experience and all concepts are explained from first principles via carefully chosen examples. Each chapter includes exercises that range from the straightforward to extended projects, plus suggestions for further reading on more advanced topics. Graham Hutton is Professor of Computer Science at the University of Nottingham, where he co-leads the Functional Programming Laboratory.